"We replaced our very expensive LPG heating with a ground source heat pump in 2010 using a firm that has subsequently ceased trading. In 2015, we had a failure of the circulation pump in the middle of the heating season, and after some research, came across Source Heat Pumps Ltd. After speaking to Mark at Source Heat Pumps Ltd, and although Source Heat Pumps Ltd were not involved in the initial installation, they promptly came to our aid. Not only did Barry from Source Heat Pumps Ltd fix the circulation pump, he also corrected aspects of the initial installation that probably lead to the failure." We continued to keep up regular maintenance on the installation until we recieved a call in December, two years later from Ian who asked us to visit and check up on some issues he was having. "In December 2017, we started to see a reduction in the efficiency of the original heat pump, and had to run it at a lower temperature than we would have liked. After checking the system, Mark advised that the original heat pump should be replaced. It was inherently less efficient than the latest models, and the problems we were seeing were likely to be due at least in part to the way it had been installed initially. Mark recommended that we install a Vaillant heat pump instead of the original brand. Barry carried out the replacement at the beginning of January 2018, and the difference had been amazing. The new heat pump is working much more quietly and efficiently than the original heat pump ever did. We also now have an excellent control panel in our kitchen that allows us to monitor and control the heat pump system. Also, the installation is so much more professional than the original installation. The quality of workmanship by Barry and Mark is exceptional and has been done for what we consider to be a really fair price. In all our dealings with Source Heat Pumps, Barry, Mark and the team have been prompt in responding to our requests and have carried out the work to be done in an agreed time frame for the price quoted. It is a pleasure working with them. Thank you." A Surrey-based developer is finding that renewable energy provided by Danfoss Heat Pumps and installed by Source Heat Pumps in Hampshire is helping to make his properties more saleable. Marek Simoncic who runs Surrey Homes chose air source heat pumps for a new five bedroom detached home in Fetcham. The property was specified with high levels of insulation and the heat pump is connected to an underfloor heating system, which provides effective distribution of heat. This is the third property that Surrey Homes has recently installed with heat pumps. Marek Simoncic of Surrey Homes explains: "One of the first questions that buyers ask is about the heating systems, especially with fuel costs increasing so dramatically. Fitting heat pumps helps to differentiate our properties from others and provides homebuyers with a more affordable way of heating their homes, which makes the properties more attractive. We have never had a problem with heat pumps from Danfoss Heat Pumps, or any callbacks. We specify high quality brands for all aspects of our properties, as that is what our buyers are looking for and it is great to be able to build homes that offer energy savings and have less of an impact on the environment." Danfoss' Air Source Heat Pumps were specified, with a 300 litre Domestic Hot Water cylinder, which will provide hot water for the property. The air source unit is stored in the integral garage within the property, with the collector unit stored outside. Chris Dale, Director of Danfoss Heat Pumps UK, explains: "Developers like Surrey Homes are recognising the huge benefits that heat pumps bring to a property. With the property market still very challenging, heat pumps are not only helping to meet the more stringent legislation for reducing carbon emissions, but also make a home much more attractive to potential buyers. We are looking forward to working with Source Heat Pumps to supply Surrey Homes on other sustainable projects in the future." Source Heat Pumps is an MCS (Microgeneration Certification Scheme) accredited installer, as well as been a fully approved Danfoss Heat Pumps installer, which means its staff have undergone training in system design, installation and after-sales care. 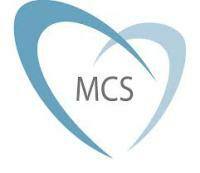 MCS is a body that certificates microgeneration technologies that are used to produce electricity and heat from renewable sources. It provides reassurance to developers and homeowners of the high quality of installations and that the installers are fully accredited. With new homes requiring to be built to meet rigorous energy saving targets, as set out in the Code for Sustainable Homes, many within the construction industry are finding that heat pumps provide an effective way to meet their requirements. With running costs typically 75 per cent that of conventional systems, heats pump normally pays for itself in between five and ten years. A waterside property in the South East of England is now benefiting from renewable energy provided by a ground source heat pump system that takes its energy from a nearby lake. The prestigious lakeside property was being converted into a guest apartment and the owners were looking for a more sustainable way of heating it. This picture-postcard single bedroom property comprises a ground floor level, where boats and lakeside equipment are stored, with living accommodation on the two upper levels. 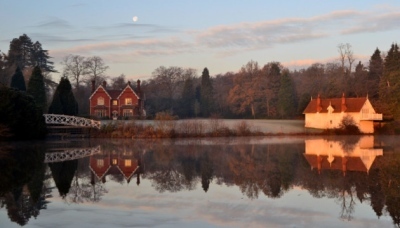 This hugely prestigious project for Source Heat Pumps, based in Hampshire, involved installing the ground source heat pump units manufactured by Danfoss Heat Pumps, as well as laying the loops in the lake. Source Heat Pumps worked closely with the consultant on the project and the developer to create a sustainable solution to the refurbished property, which would mean less reliance on fossil fuels and a much lower carbon footprint. The owner of the property is committed to sustainable development and this project has included a number of other environmentally friendly features, including a high level of insulation, which is important in a refurbishment to optimise performance of the heat pump. Source Heat Pumps faced a number of challenges, firstly the owner had specified Dinesen solid Oak wooden floors, which are used in many prestigious buildings, such as the Saatchi Gallery in London. As an underfloor heating system was being used, this meant that the screed had to be kept at a consistently lower temperature than normal. This was done to ensure that the Oak boards remained stable and would not warp or twist. Mark Freeman from Source Heat Pumps explains: "This did not cause us a problem, because we designed the loop system so that we had more loops and they were closer together (100ml apart rather than 200ml) so we could achieve the room temperature required, whilst retaining a stunning timber Oak floor. The underfloor heating system will provide effective space heating for the property. Hot water will also be supplied through a 180 litre system within the heat pump system." 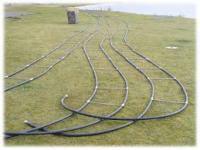 Source Heat Pumps was also required to lay the lake loops to run parallel with the banking for a length of 300 metres and at over 2 metres depth, due to the fact that the lake is dredged occasionally. The company used its expertise and flexibility to lay the loops by kayak, which now site at the bottom of the lake. The loops were weighted down with special stainless steel blocks, to ensure they would not resurface. Source Heat Pumps will provide the owner with a regular annual service of its heat pump, as part of ensuring optimum performance. Mark Freeman continues: "It was important on this project that we kept the client informed every step of the way. This ensured when an issue arose, we discussed it and came up with a workable solution that they were happy with. As lake-loop installation is still very rare in the UK and this is the first one we have carried out, it was an exciting project to work on and one that we are particularly proud of!" Mark Freeman continues: "We have a strong partnership with Danfoss Heat Pumps, having worked with them for a number of years. For such a prestigious installation, we are confident of the quality of their products and this project was a success due to good communication between ourselves, Danfoss, the developer and the client." Chris Dale from Danfoss heat Pumps said: "This is a great example of how a refurbishment can be upgraded with heat pumps, to provide a much more sustainable and affordable way to run a property. Lake loops are still very unusual in this country, but this method offers a very high coefficient of performance, which means great energy savings and a very natural and sustainable way to provide heating and hot water for a property." The heat pump is expected to deliver an efficiency of at least 4:1, which means that for every unit of electricity used to drive the pump, at least 4 units of energy in the form of heat is released in to the building, making it one of the most efficient and cost effective methods available on the market. Closed loop water source heat pumps are a tried and tested method in Scandinavia and other Northern European countries, where there are many properties located close to water.